The Monastery of Mont Saint Michel sits easily on its rock in the English Channel, just off the Normandy Coast, a fixture of the landscape. Yet, it took an apparition, a burnt skull, determination, several minor miracles and incredible feats of construction to put it there. In 708, the Archangel Michael appeared to the Bishop Aubert of Avranches and told him to build a church on a small rocky island, just off the nearby coast, in the English Channel. Believing the island to be a difficult, if not impossible site on which to build anything, let alone something a large and complex as a church, the Bishop steadfastly ignored the Archangel. Finally, the exasperated Michael burned a hole in Aubert’s skull and at last, he acquiesced. The Monastery of Saint Michel was built. The Monastery became one of the holiest and most frequented pilgrimage sites in the known world and the Bishop became Saint Aubert. In 1067, the Monastery lent its support to William the Conqueror in his invasion of England and his campaign for the English Crown. The Monastery and the treacherous sea that surrounds it feature in the famous Bayeux Tapestry. The Monastery was handsomely rewarded for its support, with a grant of land, which included an island off the coast of Cornwall. A Norman Priory, modelled on Saint Michel and named Saint Michael’s Mount of Penzance, was established there. 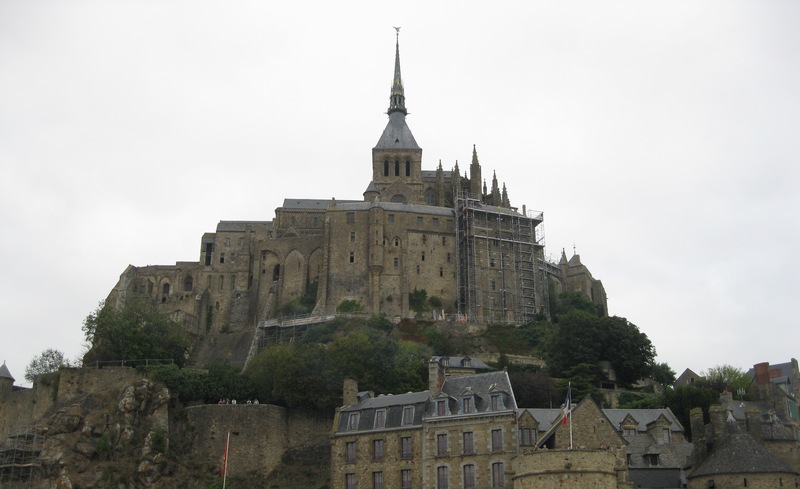 The popularity and prestige of Mont Saint Michel declined over the ensuing centuries and by the time of the French Revolution, only a few monks remained in residence. During the revolution, the monastery was converted into a prison and precious frescos, paintings, furniture and books were tossed into the surrounding bay. In 1836, prominent members of the French, including Victor Hugo, launched a campaign to save and restore what was left of the Monastery. 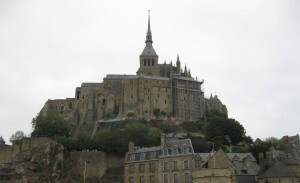 They finally succeeded in closing the prison and Mont Saint Michel was declared an historic monument in 1874. 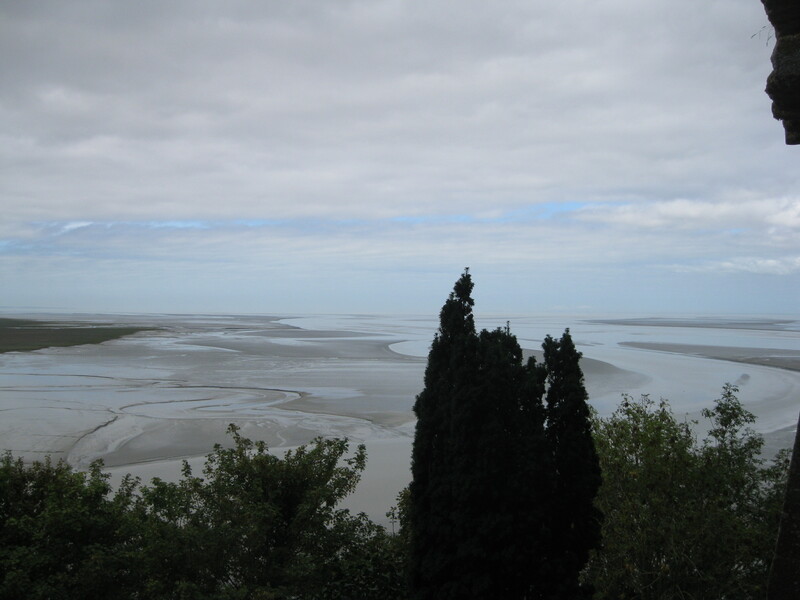 The permanent population of Mont Saint Michel is only about 40, but as it is one of the most visited monuments in France, thousands pour in every day to walk its ancient halls and pathways or to pick their way around its perilous sands at low tide. Mont St Michel is now a UNESCO World Heritage site.